Tony Russell, a JLL (NYSE: JLL) executive vice president, has led the way during his 13 years as a commercial real estate broker in San Diego County. Russell, who was nominated as a Young Influential by Jay Alexander, a JLL managing director, has handled more than 6 million square feet of (primarily office) lease and sales transactions with a value exceeding $1.2 billion. "My goal is to work with my landlord clients so they can reposition their properties to drive rent increases," Russell said. "I'm just trying to be a better broker." 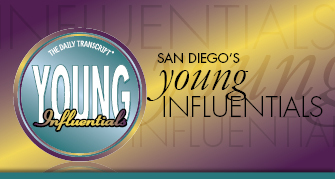 Highlight your company's expertise by advertising or sponsoring Young Influentials. Contact us at 619.232.4381 or contact@sddt.com to get more information today!